On our previous visits to this place, I was planning to take photos of the common places we used to go and share it here but I was hesitant baka kasi magalit yung mga vendors. Not only this, I know that in such places, it is better to keep your gadgets and valuables inside the bag to avoid untoward incidents. Since Saturday was a holiday in Bulacan, Mommy and I went to Divisoria to buy some stuff. 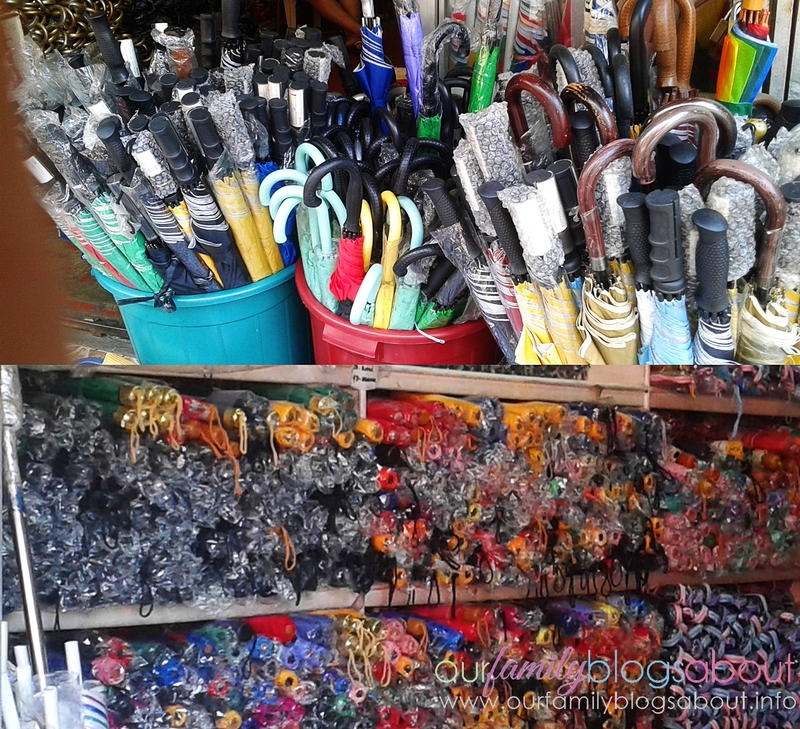 I am already determined to take some photos using my phone to share here where to buy some things in Divisoria. 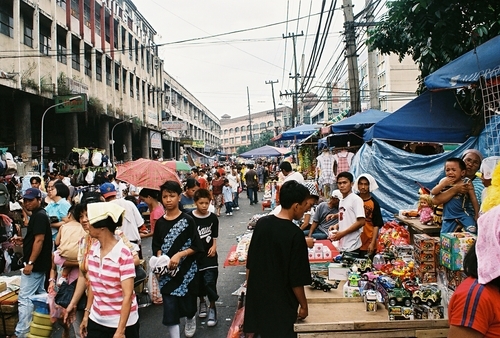 Aside from Tutuban, 168 and 999 shopping malls, the streets of Divisoria offers more. Here are the common places that we never failed to visit when we go to this place. Fruits are known to be cheaper here. In fact, after Christmas, we used go here and bought fruits for the New Year. But be careful of cheaters. There are some vendors that sell fruits at very low price especially the ones sold per kilo. But once you got home and have it weighed, it is short by almost half. 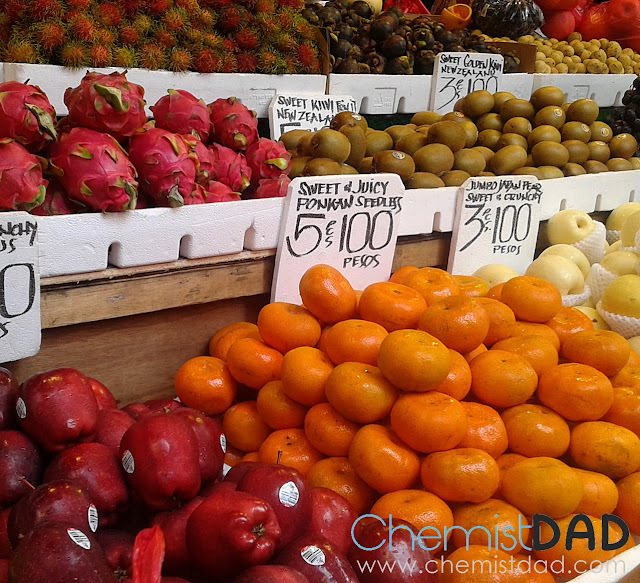 The best place to buy fruits sold in per kilo basis is at Sta. Elena Street at the back of 168 Mall. I also heard that there is a bagsakan where fruits are sold per box which is cheaper. If you need fabrics for clothes, curtains, table cloth, seat covers, and others, the only place to go is Ilaya Street. 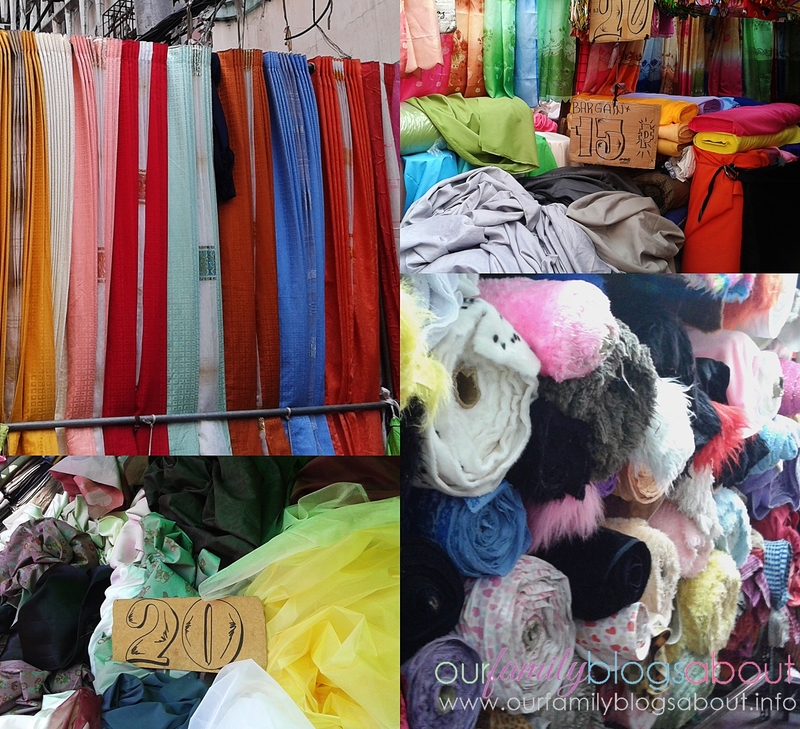 You can find fabrics for as low as 10 pesos per yard. 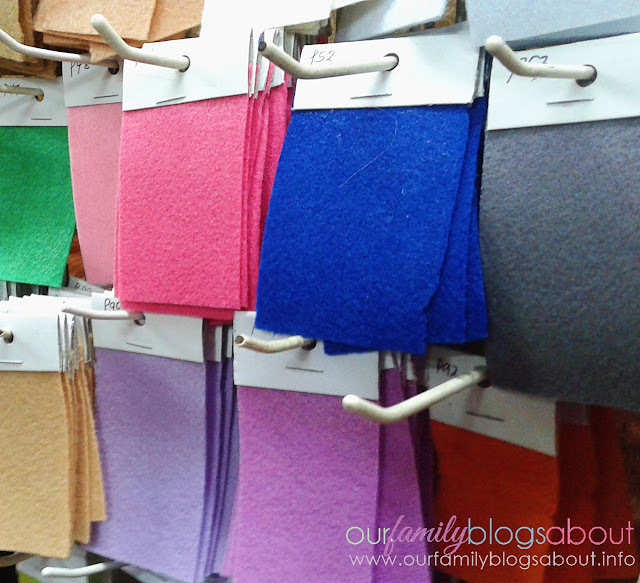 If you need felt cloth, I suggests to look for Manco. For people who loves DIYs, the next street is the best place to go - Tabora. Just ask the vendor and they will handed you what you want. 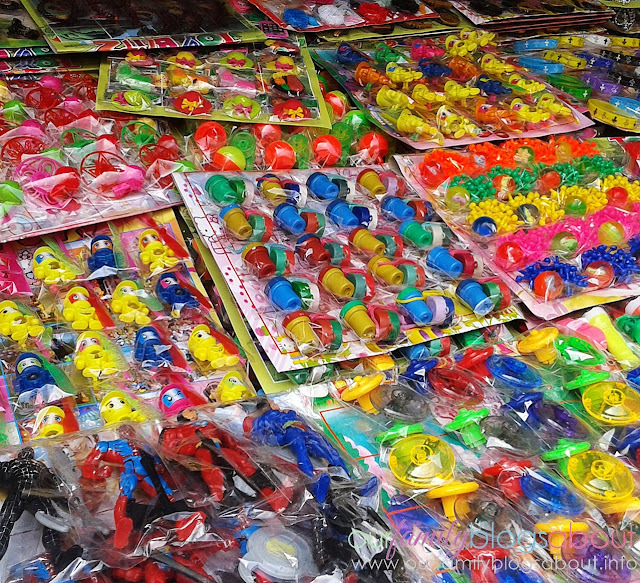 Materials for costumes like feathers, masks, angel wings and others needed for a production number can be also found in Tabora. If you want to know the latest trends in invitations, souvenirs and party giveaways, the entire stretch of Tabora will give a lot of ideas. If you don’t have time to make your own, some offers to do it for you. Just wait for a couple of hours and it is done. One of our goal in going to Divisoria is to buy fiber fill for our felt cloth letters and we found it in Tabora too. Look for BDO branch in this street, beside is the entrance to Pasilio B of Ledesma Bldg. In front of Sumo Modiste stall, sacks of fiber fill can be found. Every year, we visited this place to buy balloons, party hats, and toys for Matthew’s party favors. 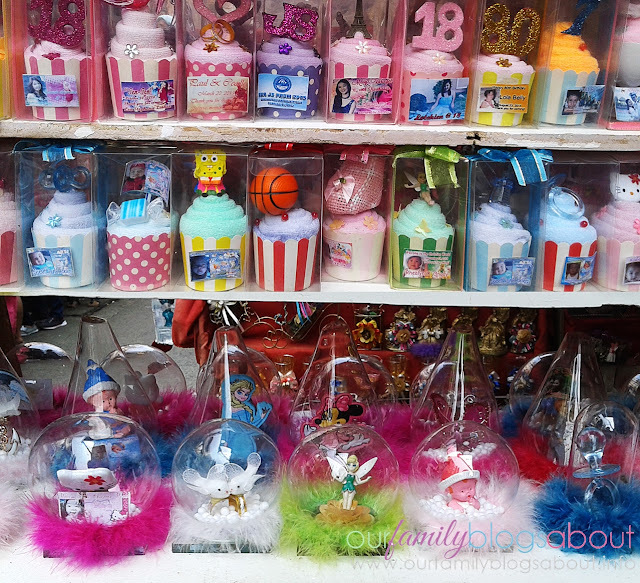 Actually, these items are previously located inside the Divisoria Mall. Since it was ruined by fire a couple of years ago, vendors are located at De Santos Street. The same street where the old mall is located. 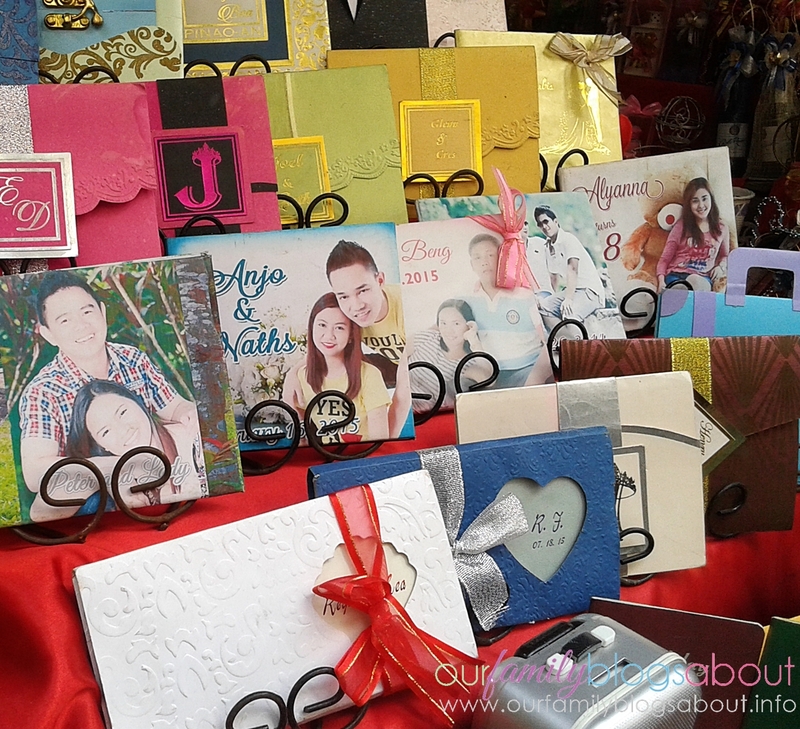 "Ber" months is already coming and it is time to start collecting gifts for the holiday season. Umbrella is one of the most common giveaways by some company. There is one store located at Antonio Rivera cor. CM Recto. Above are only few places to visit in Divisoria, I know somewhere that there are still parts that we haven't discovered. Maybe next time we will able to go there and share it here again. 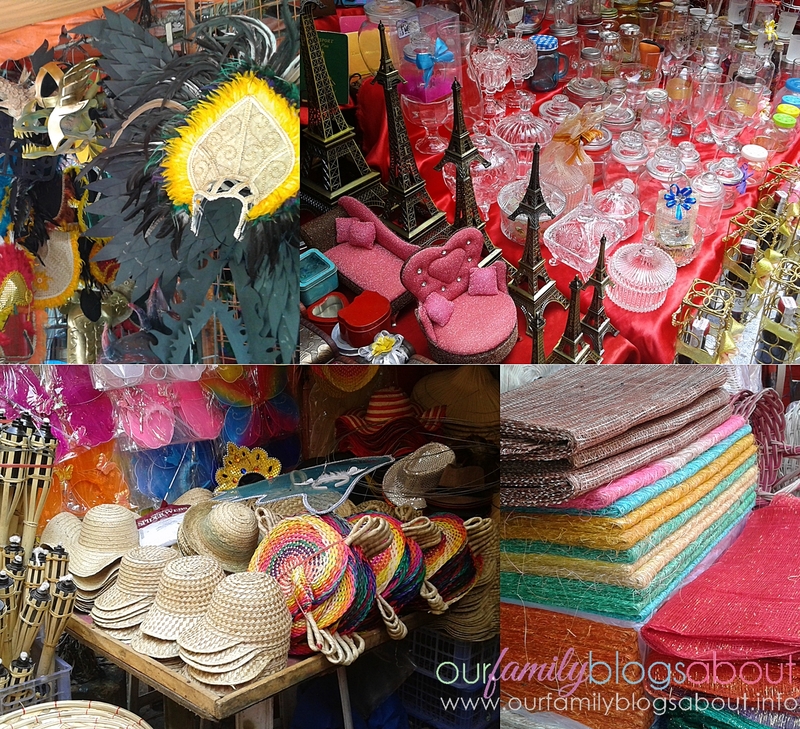 Do you know other parts of Divisoria and what can be get from there? I need those felt cloths! I will try to look for manco the next time I'll go there. Thanks! 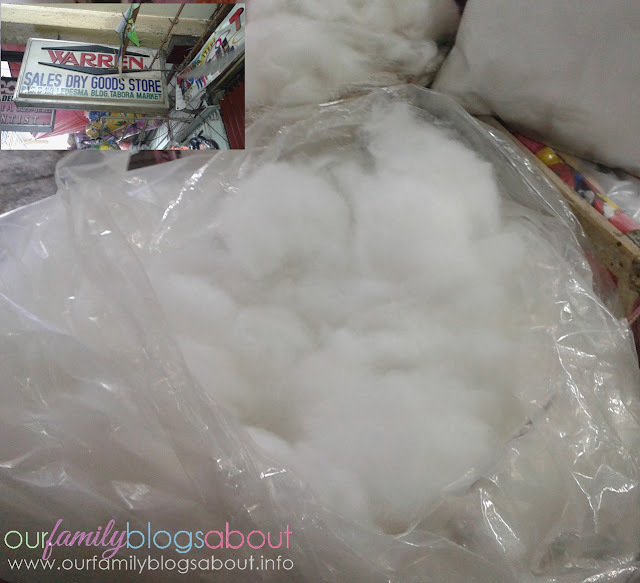 Hi, just want to ask around how much po per kilo ung fiber fill/stuffing? Thank u! Hi! Got it at 120 per kilo.